Have you served in ALL meeting Roles? How would you like to be recognized for that accomplishment? 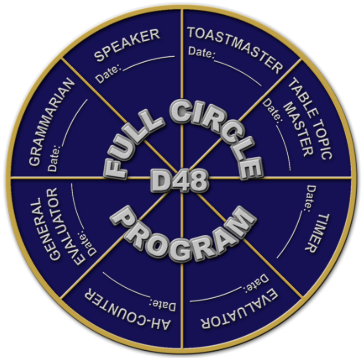 We now have a FULL Circle Program designed to do exactly that! Click HERE to submit your accomplishment. FULL Circle Pins are only awarded at District Conference.